Our two superbly manicured bowling greens are some of the best in NSW. We offer our greens for practice for a $5 greens fee. Simply advise our Clubhouse Reception on (02) 6026 5321 of the time required and arrangements will be made to suit. 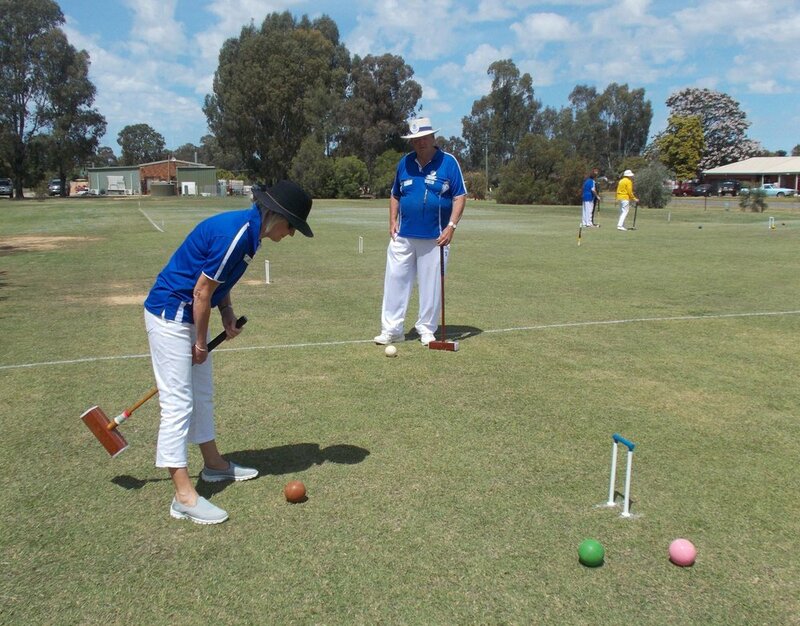 Barefoot bowls in the warmer weather is a great social opportunity and favourite activity of guests and locals. We have sets of bowls available to hire. Visiting registered and unregistered bowlers are welcome to play in the club's Wednesday and Sunday competitions for the payment of the competition fees. Start times vary with winter and summer seasons and arrangements should be made through the club's reception. We welcome all visiting members and guests to have a roll. Entry fee: $36/team. Only one prize per team. Join our Croquet Club Members for a game or two. The first two days of games are free and you can borrow a mallet. Our Croquet Courts are located next to the Golf Practice Fairway, off East Street, and a short stroll from our resort accommodation. Please arrive 15-30 minutes before play times. Join our members for a game of Bingo either during the Senior Citizen Bingo or Club Bingo sessions. New players are welcome! Mahjong is played at our Clubhouse. It's only $1 to play! New players are welcome. Why don't you come down to the club for a game? You're sure to walk away with some new friends and be wanting to come back again next week.